In June, China Power launched its ‘Marketing Month’ activities, focusing on: brand promotion, service upgrades, building deeper trust, and exploring new development. The ongoing activities are mainly comprised of brand advertising, customer visits and technical training among other strategies. The Company hopes that through these activities its overall promotional capabilities will be significantly enhanced, which, in turn, will effectively boost marketing and sales results. 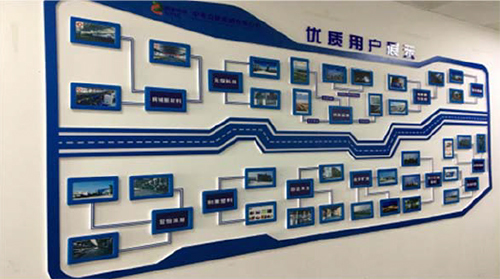 In terms of brand promotion, through creating a WeChat account and printing promotional electricity sales brochures, China Power facilitates interaction with electricity users. These promotional campaigns have been warmly received by users. In addition, China Power has been conducting return visits for customers, through which it can better establish user profiles, organise special affiliation gatherings, and launch “electricity sales + services” packages, among other activities. Those measures are all designed to better understand users’ needs as well as to provide value-added services such as energy-saving advice, safety monitoring, as well as the operation and maintenance of power facilities. Ultimately all of these marketing strategies are meant to help solve users’ problems and foster greater customer loyalty. 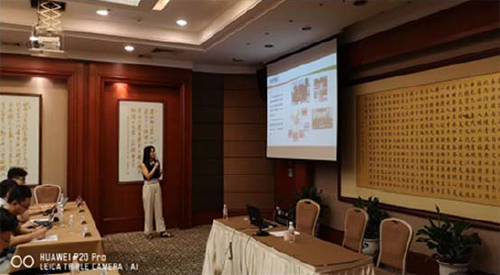 In addition, a four-day electricity sales, distribution and comprehensive energy management training session was held in Changshu. Moreover, a sales competition showcase was held for various electricity sales units, allowing them to present their respective electricity sales results and to promote the effective enhancement of business operational capabilities.